One scene in Soft Vengeance will always stay with me: Two men sit in a TV studio for BBC’s Hard Talk. One is a British journalist, the other a smiling, heavily accented, one-armed man in a colourful African traditional shirt. “Is forgiveness too cheap for the kinds of crimes committed under apartheid in South Africa?” the journalist asks Albie Sachs. 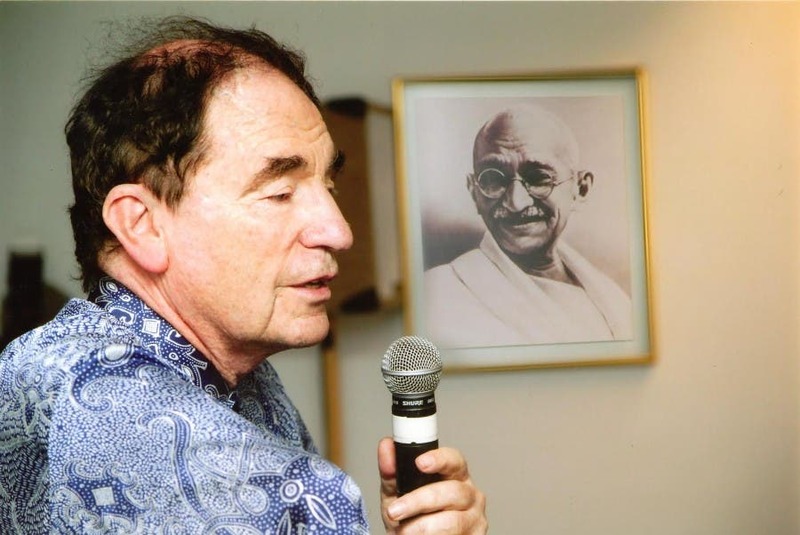 Albie Sachs, seen here at a ceremony organised by the Indian High Commissioner to commemorate an anniversary of Gandhi ten years ago in Cape Town. More scenes. A white teenager sitting on an apartheid-era ‘Blacks only’ bench. A car bomb. An armed struggle. Blood on the pavement. A people in exile. None of us can help having presumptions about an upcoming film. How will it play out? What value might it hold? Is there anything more to say on this subject? All stories find themselves in a context. This is a familiar one. All viewers bring with them a set of pre-conceived notions. I am no different. Is this another anti-apartheid film? Another film depicting the horrors of a disenfranchised and marginalized people? Yes, you would be right about that. But missing out on veteran director, Abby Ginzberg’s Soft Vengeance would deprive you of the real nugget of Albie Sach’s story – a story of the rewriting of a country. 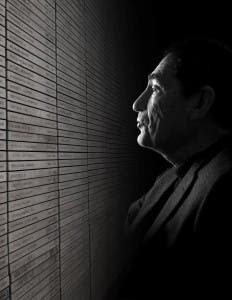 Described by his contemporaries as a “passionate proponent of peaceful negotiation”, Albie Sachs was a young Jewish boy in South Africa when he first positioned himself against the apartheid regime by sitting on a ‘Blacks only’ bench. For this he was held, questioned and sent back to his mother with his tail between his legs. The unmistakable echo of the phrase, ‘Little did they know’ permeates the rest of the film because this seemingly innocuous step by a 17-year-old boy signals the beginning of his life-long fight for change and freedom in South Africa, armed only with his mind and his pen. Soft Vengeance eloquently recounts Albie’s tale through archive footage, photographs, TV spots from around the world, views from scholars and international anti-apartheid activists, a series of interviews with some of the great and good of ‘the struggle’ – Desmond Tutu, Yvonne Mokgoro, Geraldine Fraser-Moleketi, Cyril Ramaphosa, Nadine Gordimer, Denis Goldberg – and some vulnerable and disarming narrative from Sachs himself. As a young lawyer and loyal member of the ANC, Sachs’ early career as an advocate found him defending pass law violators in Langa Court House where one after another he witnessed black men and women passing through his courtroom, “just like a sausage machine,” sentenced and imprisoned for travelling without a pass. “And it was called justice,” he explains. To defend these people was to be an enemy of the state. His name went on a kill list and placed him in serious danger from then on. Albie Sachs in the Soft Vengeance poster. From South Africa to London, to Mozambique and then full circle back to South Africa, Soft Vengeance takes us through a series of arrests, 168 days in solitary confinement, serious injury and rehabilitation. Each horrifying experience serves to formulate in his Sachs’ mind the blueprint for a peaceful war on discrimination. Sachs’ career as lawyer, judge, scholar and writer uniquely position him for essential contributing roles as writer and consultant at significant stages in the struggle – the Freedom Charter, the Code of Conduct for holding prisoners, the new South African Constitution, abolishing the death penalty, Truth and Reconciliation, Discrimination Law and finally his position as a Justice in the Constitutional Court of President Nelson Mandela. Soft Vengeance is a documentary film, which finds itself among the more hopeful stories about a turbulent period in South Africa. The answer to that question, according to Sachs, is that forgiveness is the only solution to the problem of apartheid…and the only foundation on which to rebuild a country. A well-structured, insightful and at times moving account of a life less ordinary, in a context that despite being so well known, found this ‘writer-in-exile’ thoroughly surprised and frankly, missing the beautiful diversity and hot dusty smell of her South African home. This multiple award-winning documentary makes it worth dipping back into a pivotal period in South Africa’s past, to a time many would much rather forget, in order to examine another important cog in the machine that finally birthed the rainbow nation. Soft Vengeance is showing as part of the UK Jewish Film Festival 2015 in London, 7-22 November. See details below. Tickets for Soft Vengeance are available from www.ukjewishfilm.org for screenings on Tuesday 10th and Thursday 19th November. Dame Janet Suzman, actress and niece of anti-apartheid campaigner Helen Suzman will be attending the screening and introducing the film on the 10th November at JW3 in Finchley Rd. 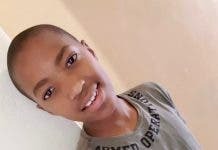 Sandi is at heart a 'village girl' from the Eastern Cape, but she has been living in London since 2001. Sandi studied film at the University of Westminster and is a freelance film and theatre critic, blogger and writer. Apart from all things 'story' related, her clandestine specialist subject is 'barges'. Why? You might very well ask. Sandi works part time at the family business - shipbrokers - doing their web copy, advertising and marketing. Sandi runs a film club in West London called 'Aliens and Others'. Married to an Englishman, she considers herself to be Anglo-African - very much at home in both countries.